The SIM-mobile phone-detonated bombs are similar in Ajmer and Mecca Masjid blasts, with RDX-TNT mix in proportion used by the Indian army. 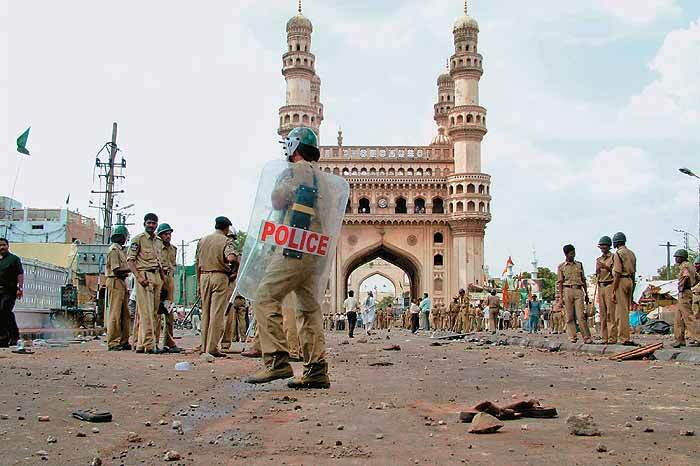 In Hyderabad too, the CBI team believes it is on the right track, finally, in the Mecca Masjid bomb blasts case. Four men belonging to radical Hindu groups were arrested this May for triggering a high-intensity bomb that went off in the masjid complex in May 2007, killing 14 and injuring some 50. At that time, the Hyderabad police had said it was most likely the work of the Harkat-ul-Jehad-e-Islami (HuJI), backed by local logistical support; some 26 Muslim men were picked up, interrogated, forced to confess and detained for up to six months. 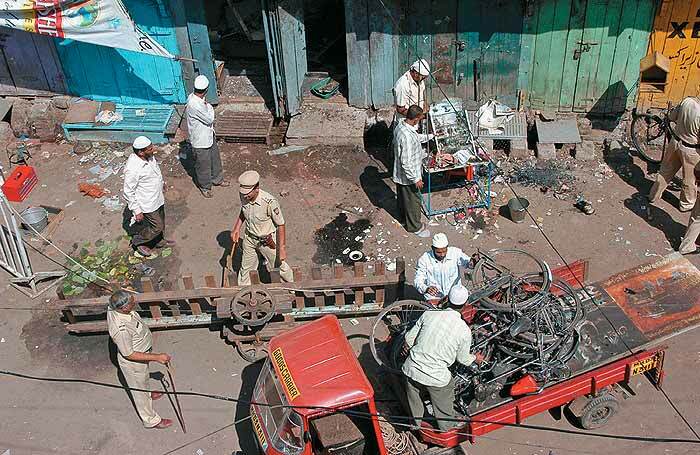 The terror trail in India changed after the Maharashtra ATS’s investigations into the 2008 Malegaon blasts, which alerted them to Abhinav Bharat. The story followed this script till the CBI found evidence to the contrary: the SIM card-and-mobile phone-detonated explosives packed in metal tubes were strikingly similar to the Ajmer blasts contraption. Tellingly, both bombs are believed to have contained a deadly mix of RDX and TNT, in proportions often used by the Indian army. CBI director Ashwani Kumar told the media that an activist named Sunil Joshi “played a key role in orchestrating the Ajmer blast... and a set of mobile SIM cards that had been used in activation of the bomb-triggers in the Mecca Masjid blast was used again in the Ajmer blast”. 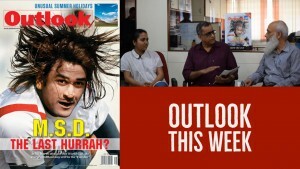 Around the same time, officers of the National Investigating Agency (NIA) filed a chargesheet in a Panjim court accusing 11 people, all Hindus and members of the ultra-right-wing Sanathan Sanstha, of masterminding and executing the October 2009 Margao blasts that killed the two people ferrying the explosives to a local festival. Investigation in Pune’s German Bakery blast this February has run aground after the initial suspicion, detaining and interrogation of suspected Muslim men, some believed to be members of “sleeper cells of jehadi groups” or the Indian Mujahideen (IM). When Abdul Samad was arrested last month, the Maharashtra ATS actively encouraged the understanding that he was the man caught on CCTV cameras in the bakery that night. However, Samad was never charged with the blast and subsequently let off in other cases too. Purohit had provided a link between Malegaon and Mecca Masjid blasts. But the police was chasing HuJI. 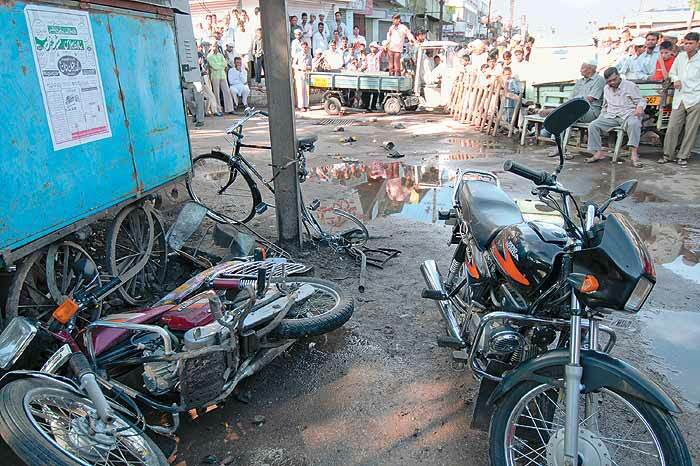 Malegaon 2008 provided the much-needed aperture to review the role of Hindutva groups. In September that year, eight people were killed and many injured in a low-intensity blast. The ATS investigation led to Sadhvi Pragya Singh Thakur, whose motorcycle was used to explode the bomb, and then to 13 others, including self-styled guru Dayanand Pandey and Lt Col Prasad Shrikant Purohit, the first-ever serving officer to be charged. During interrogation, he had disclosed to ATS investigators that he had provided the RDX in the Mecca Masjid blasts too but the ATS was reportedly asked not to make it public as the Hyderabad police had detained HuJI suspects. 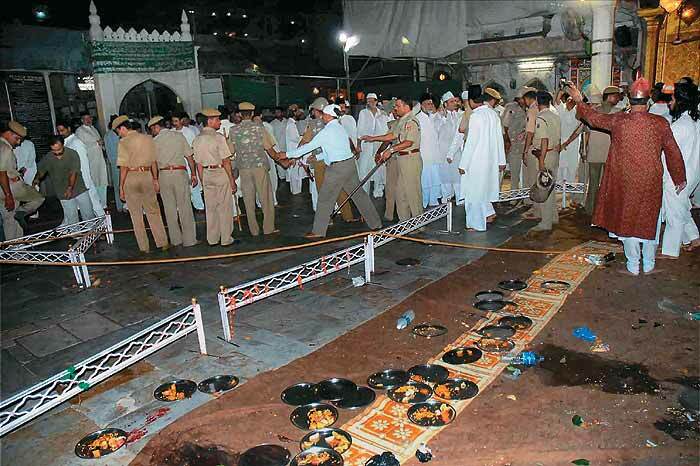 The similarity with the Ajmer Sharif blasts was evident too. The one crucial missing link, who has been named by all accused in custody as “the man”, is Ramnarayan Kalsangra, an expert at assembling bombs. Malegaon honoured Karkare by naming a chowk after him—the tribute of a relieved town to a man they believed would have led them to the truth about the September 2006 blasts too. Three bombs had gone off that Friday afternoon near a mosque and cemetery, killing 37 and injuring 100. Typically, Muslim men alleged to be members of the proscribed SIMI were picked up, interrogated and forced to confess. 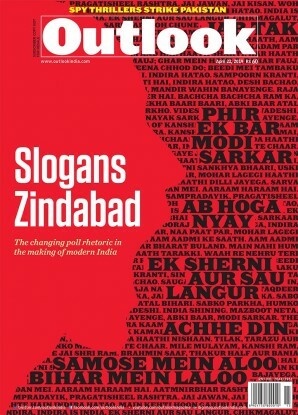 But the chargesheet had several loopholes—main accused Mohammed Zahid, though a SIMI activist, was leading prayers in a village 700 km from Malegaon that day; conspirator Shabbir Masiuallah had been in police custody a month before the blasts, police sketches made on the basis of eyewitness accounts showed clean-shaven men while all accused had kept beards for years. The Rajasthan ATS now believes that Devendra Gupta, linked to the Ajmer blasts, was in touch with AB members through RSS pracharak Sunil Joshi. Providing the other end of the link, the Maharashtra ATS says the Sadhvi, enraged when Joshi was killed by suspected SIMI activists in September 2007, ordered the 2008 Malegaon blast. Joshi has also been linked to the Samjhauta Express blasts which killed 68 people, all Pakistanis. The evidence has come from Purohit’s reported phone conversation as narrated by an unnamed witness. Yet, the story has several loose ends, most critical among them being fugitives Ramnarayan Kalsangra, Swami Aseemanand and others. Kalsangra, investigators in Maharashtra and Rajasthan say, was introduced to Devendra Gupta by the Sadhvi and is believed to be an expert at assembling bombs. Finding Kalsangra is crucial since all accused in custody have named him as “the man”. 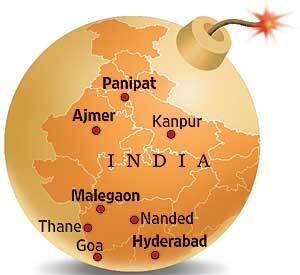 Ajmer, Mecca Masjid, Malegaon, Samjhauta Express and several other blasts are clearly part of a larger story. Only when the CBI puts all the pieces together will the entire Hindutva terror picture emerge, if at all.